Everyone who has, or at one point in time owned an iPod or iPhone has used iTunes. And we all know the problems with iTunes. For example, sometimes it doesn't detect the device or thinks your iPod's just a camera, or there are bugs in the software. 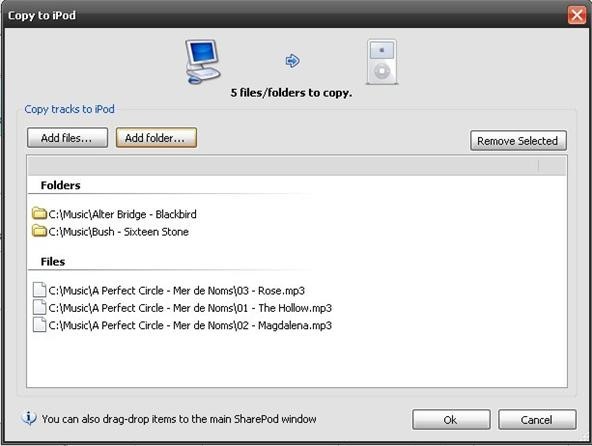 But now there is a program that is 100 times better than iTunes and its name is "Sharepod". It makes putting your music and videos on and off your device so much simpler and it can be quicker than iTunes. Since Sharepod is freeware software you dont have to pay a cent for it. To get Sharepod click this link here. Now that you have downloaded SharePod to your desktop you can now use it. If you are using an iPod which is a Classic or earlier then you must use iTunes just once more. Plug your device into your computer and get iTunes to recognize your device. Then click your device and enable disk use. 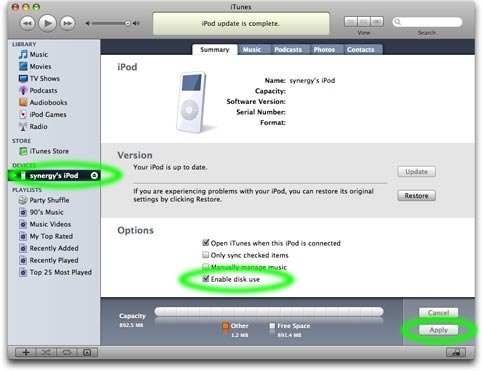 Tell iTunes not to open when an iPod is connected. Then click Apply and eject your device from iTunes. You only have to do this if your iPod is a classic or earlier. If you are using an iPod Classic or earlier you should by now have followed my instructions on how to enable disk use. Make sure your iPod is plugged into your computer but do not open iTunes. Now go to your Start menu and select My Computer. You should now see that there is a new removable disk call "iPod". Double click it and you get get about 8-9 folders. Make a new folder and call it "SharePod", then place the Sharepod.exe you downloaded earlier and place it in that new folder. Now double click on the SharePod icon and it will place 3 or 4 other files in the folder. 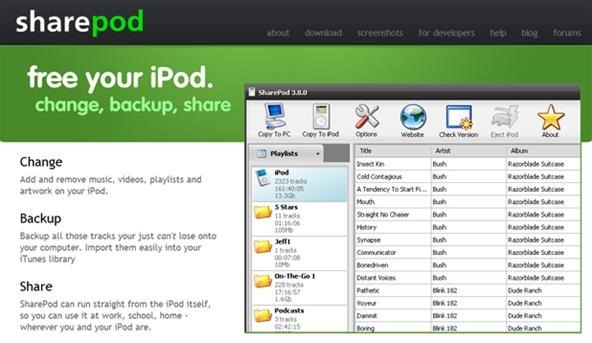 If you are using an iPod Touch or iPhone then it is even easier for you. Create a new folder on your desktop and call it SharePod. Place the Sharepod.exe into the new folder. Now you can place this folder anywhere you want to on your computer. You can even leave it on the desktop if you wish but I recommend placing it in a less cluttered place like your My Documents folder. 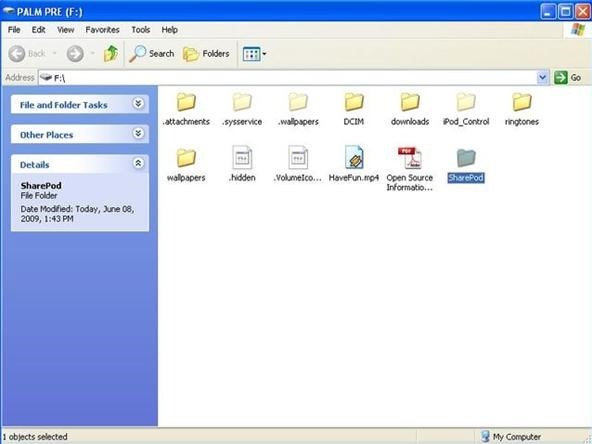 Open the folder and double click Sharepod.exe and SharePod will create and insert 3 or 4 other files. Everything that follows applies to every iPhone or iPod Touch. When you open Sharepod for the first time it will show all the music and videos you have on your device at this time or none if you haven't put any on yet. It may look complicated but it really isn't. It might just take 5 or 10 minutes to understand where everything is. If you have music and videos on your device already that's ok but I will explain as if it is completely empty so people who are new to this can understand. With the music you have on your computer you can either select Add Single Files or Add A Whole Folder. Don't place hundreds of files at once. Just select a 100 or so so you can see what happens and what it does. Once you have added the files you want, click the Ok bottom of the screen and it will start copying files to your iPod. You will know if Sharepod has added the files or not as it will place a green tick or a red cross beside it to tell you if it has gone on to your device properly or if it has a problem with the file and give you options to resolve it. Your files are now on your iPod. Just select where you would like to save it and click save. Your music is now copied to your computer. After you have placed your music and videos into SharePod you can right-click and edit the files and change the artist, album art and so much more. Thank you for reading my article and I hope it all works out. If not leave me a comment and I will try and help you out. I downloaded Sharepod, and it only takes songs FROM the ipod, not TO the ipod, which is the opposite of the question that I had, and the exact opposite of the how-to statement at the top.